It’s been a while since we have been able to participate in events with harvest behind us and the holidays. But now we are revving our engines and getting ready for quite a busy spring! 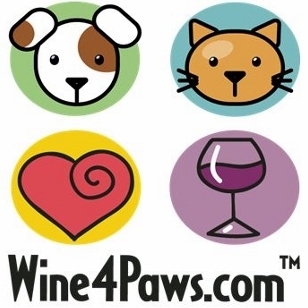 This weekend April 6/7 we are available for tastings by appointment during #Wine4Paws weekend! We are donating a percentage of our sales towards the Woods Humane Society. Email us, PM us on any of our social platforms and let us know if you’d like to purchase a few bottles and donate to this awesome cause! Just to add to the donation, we will also donate a portion of our web sales made over the weekend! This coming Tuesday, April 9th 5:30 PM – 7:30 PM Rhone Rangers: Women in Wine! Join Co-owner and marketing director, Victoria Schmitt representing our delicious Rhone wines from Volatus at this fun event at Tooth and Nail Winery. There will be live music and food with plenty of wine at our booth to sip on! Please click on this link to purchase your tickets today! Later on in April, Saturday the 27th we will be pouring at the Paso Robles Horse Park!The Paso Park is hosting their Spring Classic and will feature local wineries each Saturday during the Classic. On April 27th, Volatus will feature CAVU and Rose wines for a warm day including a couple of our more popular red wines! Visit their website to learn more about the PRHP Classic and what they do at the Horse Park! We are currently still waiting on our ABC license to be sent out to us so we can move into our tasting room. We HOPE this will be as soon as next week… but you never know how fast or slow the process will go- but YOU WILL BE THE FIRST TO KNOW WHEN WE DO! We are still offering Tastings by Appointment so contact us today! You can also order online to ship straight to you or you can also schedule a pick up during your appointment! FYI- We will be closed the first weekend in May, because Bull will have to attend the 50th Year Anniversary Celebration of TOPGUN!